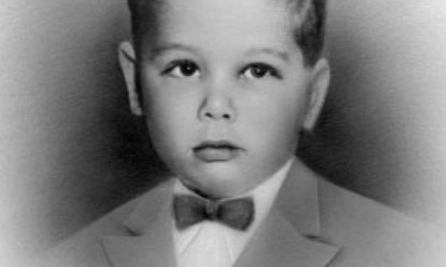 The Tommy Fund for Childhood Cancer was established in 1953 in honor of a little boy named Tommy Mozdzierz, who died of cancer that same year just two weeks before his fifth birthday. Before his death from acute leukemia, Tommy managed to garner the attention of an entire state, including a local fire department which knew of his passion for firemen and fire trucks. To help Tommy’s family pay for his medical care, members of the fire department from Tommy’s hometown of New Britain raised nearly $1,000 and after Tommy’s death, raised an additional $8,000 for statewide leukemia research at Yale University. More than 30 years later, in 1986, a group of parents of children with cancer and their caregivers at Yale-New Haven Hospital revived The Tommy Fund for Childhood Cancer with the help of New Haven firefighters. Fundraising and awareness raising activities, including golf tournaments and charity softball games, helped support emotional and medical needs of children with cancer and a wide-range of assistance to their families. Since 1986, Tommy Fund activities have grown to include: holiday cards designed by pediatric oncology patients and sold in the hospital and community; the annual fall family day and road race; and the “Wipe-Out Walk-A-Thon." Through the generosity and support of both individuals and corporations, The Tommy Fund for Childhood Cancer has been able to make a compelling difference in the lives of families at the Smilow Cancer Hospital at Yale-New Haven.